Books for women have been a distinct and popular variety of Jewish literature at least since the early seventeenth century, when Ts’ena Ur’ena, a Yiddish “woman’s Bible” embellished with amazing tales and pointed lessons, started its ascent to become the most widely read Jewish book for the next 300 years. In America, the first writer to tap into this deep well was the Polish-born Anzia Yezierska (ca. 1882–1970). Her 1925 novel Bread Givers, frequently misinterpreted as a feminist attack upon Jewish patriarchy, is in fact the most successful attempt ever undertaken to reproduce in another language the half-serious, half-sensationalist brand of popular Yiddish fiction. The pattern (and the heartbreak) is repeated twice more. Mashah, called “Empty-head” because she “lived in the pleasure she got from her beauty as Father lived in his Holy Torah,” is adored by a young pianist from a wealthy family, while Fania is wooed by an impoverished Yiddish poet who inscribes lyrics in her honor. All their father sees in them are “a meshumid [apostate] who plays on the Sabbath” and a “schnorrer [beggar] who writes . . . love letters on wrapping paper.” Arranging matches instead with two men he imagines to be rich and suitable husbands, he is proven wrong in both cases. That leaves Sara, called Blood-and-Iron for the stubbornness of her will. She does not wait around for Father to marry her off. “You made the lives of the other children!” she shouts in his face. “I’m going to make my own life!” And so she does—finding work as a presser, saving money for college, and returning home with the prestigious credential of a schoolteacher. It is small wonder that Yezierska’s novel, turning on the contrast between the self-redeeming Sara and her “life-weary” older sisters, might appeal so strongly to a feminist like the one who praised it for recording “the destructiveness of a culture in which women are ‘Bread Givers,’ serving men so that they may serve God.” And despite the hyperbole, there is reason to be grateful to them, because it was feminist critics who sponsored the novel’s rediscovery and reprinting in 1975, fifty years after its original publication. Yet the saga of a father’s tyranny and a daughter’s liberation is not a political statement, not a critique of women’s place in traditional Judaism, but a plot, a means of parceling out dramatic scenes to move readers to fear and pity. Although arranged marriages were a fact of life in medieval Jewry (“Parents were never censured—indeed, they were praised,” writes the late historian Jacob Katz—“for arranging a match for daughters of thirteen and fourteen and sons of fifteen or sixteen, and even for marrying off their children at such young ages”), by the first quarter of the twentieth century they had become more a literary than a social convention. So, too, with the figure of the tyrannical father. Toward the end of Bread Givers, Reb Moisheh dissolves in self-pity: “With all I have done for my daughters—the morals I soaked into them, the religion I preached into them from the day they were born—yet they leave me in my old age, as they left King Lear. . . .” The comparison is apt. Reb Moisheh Smolinsky is a tragic and memorable figure, oversized and raging like Shakespeare’s great king. But when it comes to actuality, Sholem Aleichem’s no-less-stylized portrait of hapless Tevye and his daughters’ quest for fulfillment offers a truer insight into modernity’s impact upon a Jewish father’s authority. According to a recent critic, Bread Givers “comes out of a tradition of ethnic immigrant literature, documenting the experiences of European Jews in New York City in the beginning decades of the twentieth century.” Reader, rejoice: Bread Givers provides documentary evidence of nothing. The novel has its feet planted solidly in the Yiddish tradition of farvaylung-literatur (entertainment literature), which from the very beginning, as in the novels of I. M. Dik (1808–1893), never strictly separated the sheer delight of storytelling from moral didacticism. Abraham Cahan’s Rise of David Levinsky has been called the first Yiddish novel in America, although it was written and published in English. The title more deservedly goes to Yezierska’s 1925 masterpiece. 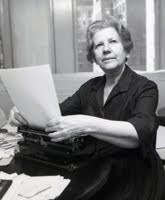 Far more effectively than any other American novelist—and that includes Henry Roth and Bernard Malamud—Yezierska, who was born in Russian Poland and emigrated to the United States around the age of twelve or thirteen, captures the rhythms of Yiddish syntax. Her English is a first-generation English: the sentence structure bends under the weight of her native Yiddish. The recovery of Yiddish in later English-language writers is strikingly different: while the vocabulary may reach for Yiddish, the syntax remains natively English. But Yezierska’s mame-loshn (mother tongue) is Yiddish. Not only do her characters speak with a Yiddish inflection. The narrative voice also slips into a Yiddish lilt. The principal difference is in the use of prepositions, which will be immediately recognizable to anyone with ultra-Orthodox friends who grew up in Brooklyn with Yiddish as a first language. We stayed by them rather than with them, a Yiddish speaker will say. But the word-order also betrays the non-native speaker of English. “How could I come into their homes,” Sara asks when she is away at college (Yezierska herself attended the University of Wisconsin), “exchange with them my thoughts, break with them bread at their tables?” An American, who grew up monolingual in English, would defer the phrases with them till after the nouns. In its language and literary background, Bread Givers may just be the most Jewish novel in American literature. And it helps to know that a little preaching, about women’s place in Judaism if not about Jewish law, is a conventional and expected feature of a ripping good Jewish yarn. But you need not mistake Reb Moisheh Smolinsky for an actual Jewish patriarch to be vastly entertained by Anzia Yezierska’s lively and inspiriting novel.